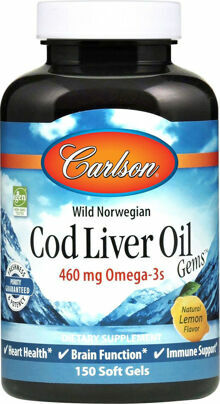 Adults take one to five softgels daily, at mealtime. May chew soft gels if desired. Refrigerate after opening to retain freshness. Adults take one softgel one to five times daily. 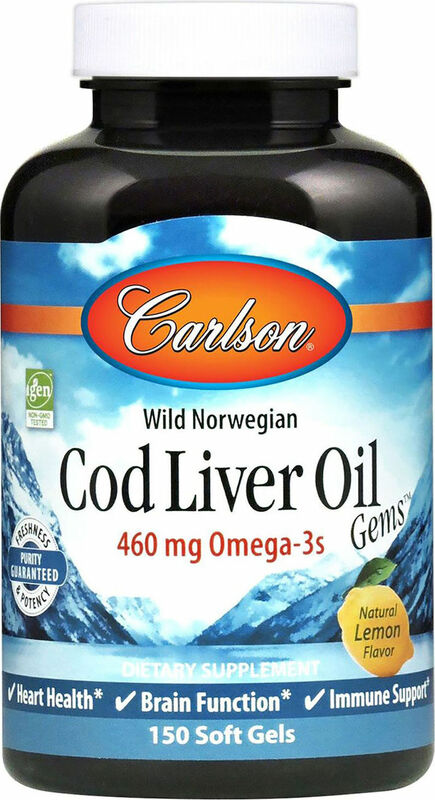 From the deep, pristine waters near Norway, Carlson provides the finest cod liver oil, naturally rich in EPA and DHA, and supplying vitamins A and D. Natural Vitamin E has been added to each 100mg soft gel to protect the freshness of EPA & DHA, both within the soft gels and our bodies. This product is regularly tested (using ADAC international protocols) for freshness, potency and purity by an independent, FDA-registers laboratory and has been determined to be fresh, fully-potent and free of detrimental levels of mercury, cadmium, lead, PCB's and 28 other contaminants.